From robot suitcases to selfie luggage covers, clever folks are constantly coming up with new ways to make travel more seamless. 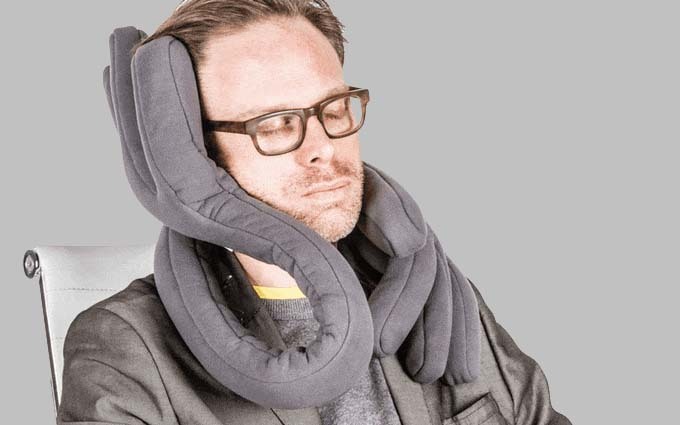 The latest in travel paraphernalia is MonPère, a travel pillow like you’ve never seen before. MonPère’s founder and inventor Sylvain Bérubé is a Montreal-based sports therapist and trainer and, after travelling around the world, decided to try his hand at fixing how we sleep when we travel. Alas, after four years of development and testing, this truly weird-looking cushion was born. But Bérubé says it’s an unusual shape for a reason. “Our quirky form is the sum of countless tests and prototypes. The result is an unexpected design with human-form hands to keep your head resting securely,” he said in his kickstarter campaign. The ergonomic design uses natural pressure points to create resistance, meaning travellers should wake up feeling well-rested. You can pre-order the demogorgan-esque headrest for $105 ($79USD), with deliveries rolled out in May 2018. To stay posted, or for more information, visit the MonPère kickstarter campaign. Book your next adventure with Qantas.